Last weekend I went to Maker Faire UK. Now I thought that was worth supporting and worth going to. It was a great fun day out and I met loads of interesting people and saw loads of cool inventions and tricks. I also had an opportunity to attend some great talks. You may have noted that during the A to Z Challenge I wrote about Inventor’s notebooks. Well now I have another to add to the list the Maker’s Notebook which I bought at the Maker Faire (and which can also be bought online from Make). What was really great was the a lot of the participants and makers at the event all had these notebooks. The notebook itself is 165 pages (all numbered). Pages 1-146 are engineering graph paper. Every page has a blank heading to list project name, date, sign or note, and a place to link project/related pages (“From Page___, to Page___). 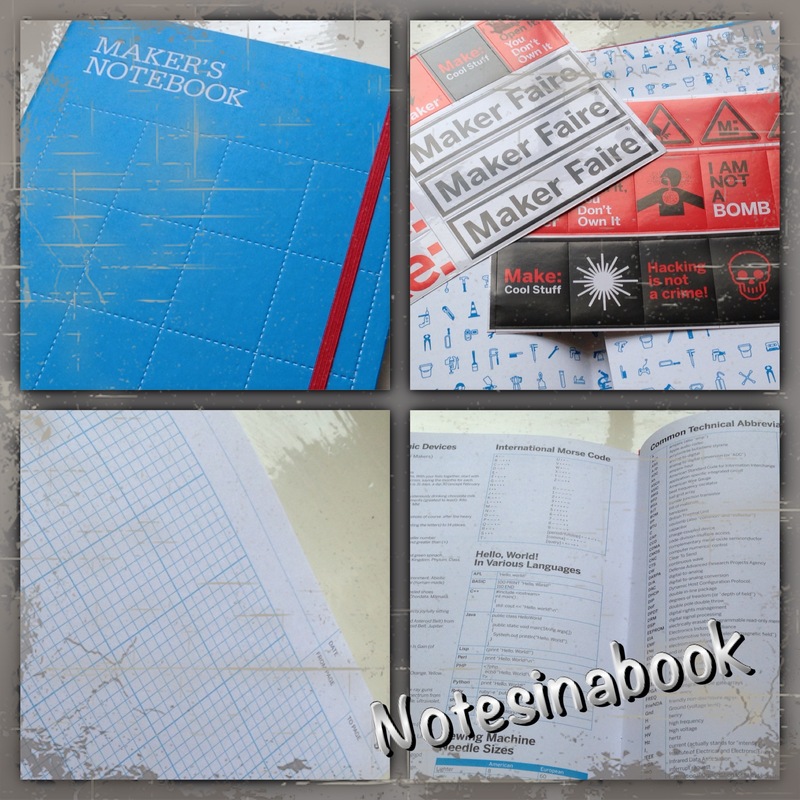 The rest of the pages at the back of the notebook are reference pages with lots in useful information for makers. There is also a pocket at the back of the notebook with lots of stickers. I’ve not started using this notebook yet and will write again once I have been using it for a while. Def worth it then. My OH bought one as well.